I never had an issue watching silly or serious horror movies with elements of comedy when you laugh at something you’re not supposed to. 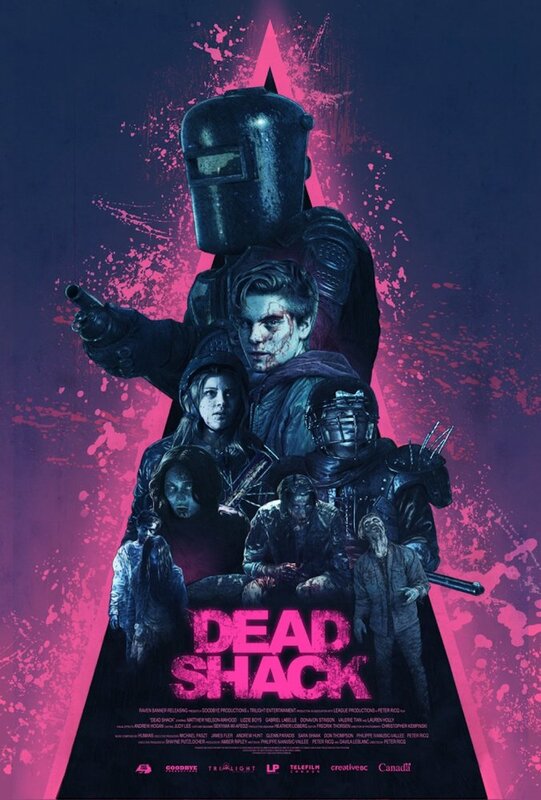 Co-written and directed by Peter Ricq, Death Shack turns into one of the funniest and coolest movies I’ve seen in a while, and that’s only because somewhere deep in my mind I wanted to believe it that way. And that was the pure intention of the filmmaker to direct the movie in a way that will stun any sane and logical mind. Otherwise, I have no other way of explaining what was the point of making a totally unwatchable movie, yet, still acceptable with the right set of mind. Dead Shack tells the story of an-open minded family, where Dad is okay to buy a beer for his underage children. Divorced but happy, a man takes his family along with his girlfriend Lisa to a cabin in the wood to spend quality time on a weekend. They also take Colin with themselves, who is secretly in love with Summer. Everything goes well until the moment when curious children follow a woman (Lauren Holly, All My Children) all the way to her cabin in the woods to find that she is feeding her un-dead family with human body. Everything said above could have been avoided if the children had not followed the woman when they are not supposed to. But if that were the case, we would not have this movie, would we? A father, who in half of the movie is high and drunk at the same time, misses the entire adventure of his children when they began the fight for their life before and after when the same dad ends up passed out in the cabin of the woman where she met her previous victims. As you can imagine through the silly lines, illogical development of storyline, the movie advances way too quickly and decision was made to kill a bad, this time not a guy, but a woman and her family she so tenderly loves. Despite everything you read above, Dead Shack was not a bad movie at all. Because there are many other words which can be used to describe it, and being bad, in this case is more like a compliment. But again, if you look at satire or any other way you wish to enjoy the movie, you’re certainly allowed to do that. However, many things shown in the movie seems to target a certain audience where I felt left out. In the end, for anyone who is interested in a one-dimensional writing or even directing, Dead Shack can be considered as a masterpiece and even funnier than Peter and Bob Farrelly’s Dumb and Dumber. The whole problem is that the characters you see in this movie were not intelligent at all. And there were no point to hope or expect them to have an IQ higher than Lloyd and Harry. But if you did, then I am sorry for saying that, it won`t happen!